Do you love hearing the sounds of the engines roaring by you at the race track? This is all about to change, and maybe for the better, at least for our environment. 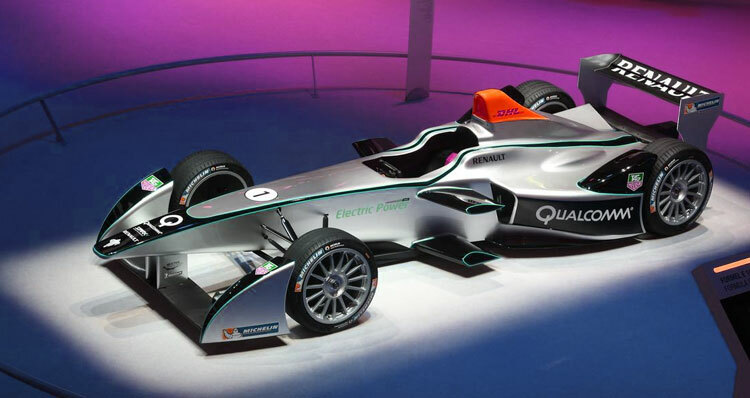 The Formula E (electric race car) was just an idea in 2012, now it’s a full blown reality starting September 13,2014 in Beijing. This is just one of nine stops, spreading across Europe, Asia, North America, and South America. This race car season will mark a big step in automotive history, and auto racing news. It is not just about performance anymore, the tables have now turned to a different type of technology, that’s right, “batteries”. The first year of this race, all teams will be driving the same car. After that all teams will be given the ability to make their own modifications and improvements, rules are in place to assure that teams focus their efforts more on the battery, and the drive train, than on the aerodynamics which most F1 teams spend millions on. Ten two-car teams will compete in an hour long race. Drivers will be changing their cars rather than their batteries during the pit stop, charging generators will be powered by renewable fuel. Now think far into the future and imagine being on the race track watching or trying to listen to auto racing news. You will be hearing the whooshing sound of cars speeding by, instead of the 147 decibel motor rushing by, each equally exciting in it’s own way, one is just less damaging to our environment. This could be a very controversial subject. The 147 decibel roar of a big engine, the smell of motor fuel, some people will argue that this is a big part of motor sports, and I agree, it’s not going to go away it is just morphing into something new, and quite possibly just as exciting. Technology in batteries are growing at an amazing rate, and it is only a matter of time before the majority of us will be driving electric cars, and gas will become a novelty, and something only for the rich. Ok, we are long from there at the moment, but seeing how far technology is growing it will become a reality eventually. This could not come too soon for Beijing, where just in 10 years alone they have gone from having 800,000 vehicles on the road to having 6.5 million vehicles, that’s a lot of pollution for China. Sales of electric cars have been low, this could be the price, or maybe it’s just the perception. If it is the perception, wait til September and watch these all electric race cars perform at speeds up to 170mph, this isn’t your typical electric car anymore, now it is a full blown racing vehicle. I talked myself into it. I need to go check prices on the Nissan Leaf., I am sure it has to get a pretty decent top speed, right?